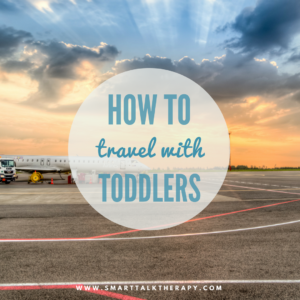 After another summer coming to an end filled with crowded airports, crowded airplanes, and crying human beings (mostly children, sometimes their parents) it’s a good time to reflect and share with you some of the tips and tricks to make traveling with children slightly less painful. This is probably one of the best pieces of advice that I got a few years ago from a close friend. I remember thinking to myself “what’s the point of that?! They’re not going to remember any part of it?”. Well, turns out that I was wrong. Our twins’ first flight was when they were around 1.5 years old and they have since flown around 12 – 15 times with the longest flight being a 12-hour flight from Los Angeles to Munich, Germany. There are HUGE benefits to starting them young. First off, children under 2 can sit on your lap so you don’t actually have to pay for tickets for them (the only exception to this is international flights where you might be charged 10% of a regular ticket). With each flight, both you and your child will learn how to master the airport security line better, how to board better, and how to fly better. The novelty of flying and excitement is still there, even 15 flights later, but the stress, anxiety, and confusion about how to do this whole thing has subsided. Travel day is a day filled with excitement and firsts for both you and your child. Asking a child to sit quietly for an extended period of time goes against everything that children stand for and everything related to their development. One way to support them remaining still and seated is to bring new small toys that they can unpack in the airplane and play with for the first time. Some great small toy options are Play-Doh (which I personally can’t stand but my twins love it), Legos, stickers, coloring books, and small cars. Whatever toys you bring, make sure that they are small, easy to handle, and it’s OK if you lose a few. Airports and airlines are not set up for babies and small children but for adults who can wait patiently for snacks and drinks based on when the airline feels like serving them. You can pack empty baby bottles and water bottles (formula is allowed to go through security above the regular 100 ml requirements but you will be slowed down because of an extra inspection). What we do is we pack snacks from home (our favorites are peanut butter jelly sandwiches, pirates booty, blueberries, and goldfish) with empty drink bottles for the twins. Once we have passed through security, we buy water and milk. MILK is a big one to buy before you get on the airplane because more domestic carriers don’t carry milk on board due to their refrigeration limitations. I know, I know. Screens are bad for little children. And I agree with this philosophy on a day-to-day basis. Travel day is one of the few exceptions that we make to this philosophy. Having an iPad that has a few shows on it (e.g. Peppa Pig, Sing, Super Wings, etc…) can really make life a lot more bearable on the airplane. Most young children don’t even care to hear the movie and are completely OK with just watching the screen. It’s a great last minute tool to have in your back pocket when you notice your toddler starting to go stir crazy or you notice your patience fading. If you do end up buying headphones, make sure to buy the special ones for children that don’t allow the headphones to get too loud and damage your child’s hearing. Take-off and landing are some of the worse times when traveling with children. Your child needs to be restrained, isn’t allowed to move, and most babies/toddlers don’t understand verbal commands or reason. During take off and landing our ears tend to pop as we adjust to the pressure changes. As adults, we have learned how to pop our ears but babies and toddlers have NO IDEA how to do this. Having your baby / toddler drink their milk or water during this time will force them to swallow which will allow their ears to pop naturally and adjust to the pressure in the airplane. Welcome to your seat; or better yet, the petri dish of diseases that you will be in for the next few hours of your life. I remember a flight attendant telling me this during one of our first flights. I remember her telling me “you should probably put your kid’s pretzels on a napkin and not directly on the tray”. YUCK! So, now we always fly with disinfectant wipes. The first thing we do is wipe down our area which includes the armrests, tray (both sides), chair in front of us, window, window shade, and pretty much anything else that we can find. Since the twins have been on so many flights now, they know the routine and don’t touch anything until this procedure has been completed. Flying is not only a stressful time for the family but also a time that your family will be exposed to all kinds of germs. The combination of the germs and the unpredictable airplane environment (some airplanes are too cold, some are too hot) create a wonderful opportunity for your child to get sick. They might start getting the sniffles on the flight, start to get really cranky, get that sick look on their faces, or start tugging at their ears. These are all signs that your child is on the verge of illness and if you are trapped in an airplane for the next few hours without medications you could be facing a very very difficult couple of hours. We always travel with Ibuprofen rather than Tylenol since Ibuprofen has anti-inflammatory features great for ear infections and lasts longer. The only caveat is that your child needs to eat something or drink milk prior to taking the medication. Please note that I am not a Doctor and these are recommendations made by a mother. For specific questions about medications please see your pediatrician. Not all airlines are created equal when it comes to family traveling. As an adult going on vacation you couldn’t care less whom you’re flying with but with small children the airline makes or breaks your trip. For domestic flights within the USA we have flown with Virgin America, United, American, and Southwest. The WORSE of all for children is American Airlines. If at all possible, avoid this airline. Here’s why – they are not equipped to support families with young children. Their policy is that all strollers weighing more than 26 lbs (which at this point is pretty much 80% of the strollers on the market) cannot be gate checked. Gate checked is when you get to take your stroller with all of your gear all the way to the gate and hand it to their staff right before boarding and pick it up at the arrival gate right after deplaning. I will never forget flying from Los Angeles to Chicago with my 1.5 year old twins and being told that I would need to regularly check my double stroller and be required to find a way to get my 1.5 year old TWINS plus their gear through the ticket check point, security, to the gate, and on the airplane. That’s the day that American Airlines lost our business for life. They allow you to gate check your stroller(s) no matter how heavy they are. This is why we love Southwest for our family trips and recommend this airline to all of our friends and family. This is probably one of the most important tips of all and I’ve kept the best for last. This is a trick that my family uses on each of our flights to get 1-2 seats for free so hopefully by sharing this information with you it doesn’t end up going viral and spoils the secret. Here’s the deal – Most people want to sit in the front of the plane near the exit and in window or aisle seats. No secret there, right? So, where should you sit to try to get some extra space? We sit in the last row. YES, the last row. And we split up so that the twins can’t bother each other. AND, if we have to reserve seats, we get the window and aisle seat and leave the middle seat empty! A middle seat in the last row of the airplane is going to be the last seat filled. NOBODY wants to sit there. So, if the flight isn’t fully booked, you end up with a free seat. Since we split up, we give ourselves the chance to get 2 free seats (one per row) and usually will average out with at least 1 free seat per flight. I hope that these tips and tricks have been helpful for you. I have learned them through trial and error and we are now at a point where we can fly with our now 2.5 year old twins without dreading travel day but instead going through it like a well oiled machine.